International draughts-64 competitions «White Nights – 2013» – 4th Stage of World Cup 2013 ended. 70 players took part in competitions. Open-tournament and youth tournament was held. 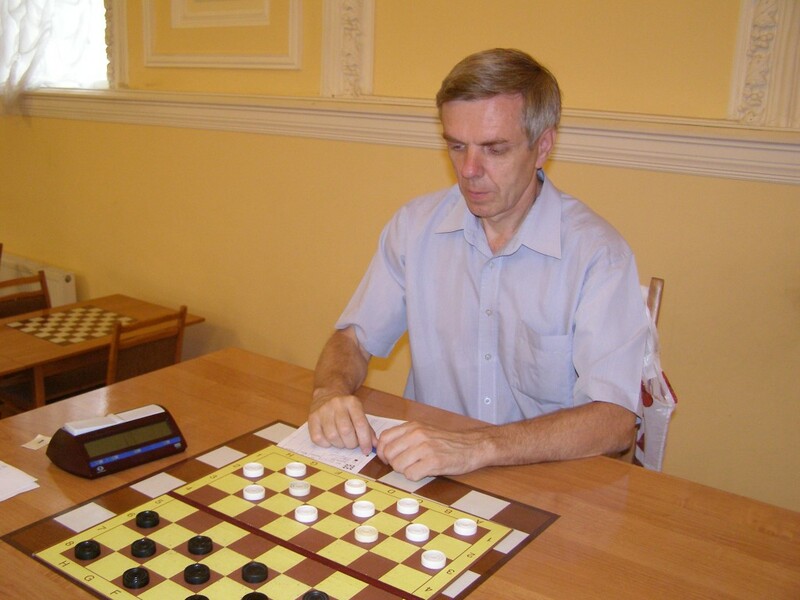 Grandmaster from Nizhny Novgorod Alexander Burov won the 4th Stage of World Cup. The master of sports Reef Sultanov from Nizhny Tagil took second place. Champion of Moscow, youth master of sports Nikita Slavyanov took third place. See results of World Cup, youth tournament, team standing and new photo. – The strengthening of friendly relations between the draughts players from different countries. Competitions will be held in St. Petersburg, Russia, from June 29, (arrival day) till July 07, 2013 (departure day). The turnout and registration: June 29, Chigorin club, Bolshaya Konyushennaya str. 25, St. Petersburg, Russia. Credentials Committee will work June 29, from 15.00 till 20.00. 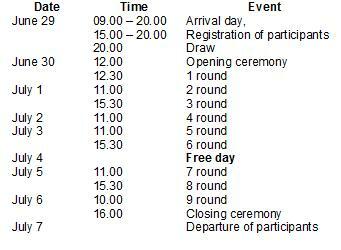 Opening ceremony will be June 30, at 12.00, 1st round at 12.30. Closing ceremony will be July 06, at 16.00. Participants must to be on the closing ceremony of the competition, in breach of the item they are deprived of official awards. General management, organization and carrying out of competitions held by the FMJD Section-64 – IDF and St. Petersburg Draughts Federation. Direct responsibility of the conduct of the competition makes the panel of judges, approved by the Section-64 and St. Petersburg Draughts Federation. Open tournament – 4th Stage of World Cup. 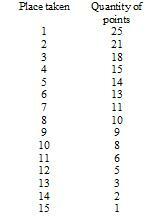 Youth competitions separately for boys and girls 1997 year born and younger (with the offset of the age groups). Team results are determined in the youth competitions. The composition of teams: 3 boys and 1 girl. The participation in the 4th Stage of World Cup is allowed for the players who have rank not lower than “Candidate Master”; in the junior competitions – players born no later than 1997, who registered in accordance with this regulation time and paid the tournament fee. The number of participants representing the country is not limited. Competitions are conducted according to the rules of FMJD Section-64 – IDF. Competitions are held in the Russian version of draughts-64 by the system of micro-matches consist of two games with time control 45 minutes till the end of the game plus 10 seconds on each move, break between parties 5 minutes. 4th Stage of World Cup is played with the draw of the moves according to the official tables of the Section-64, youth competitions are played without draw of the moves. Places of competitors are determined by most amounts of points. For team standing – on the largest amount of points scored by all team members. In case of equal points of two or more participants, the additional criteria established by the panel of judges according to the system of the competition. Participants who win each competition are awarding by cups and diplomas. Participants who take 2nd and 3rd place in each competition are awarding by diplomas. Team-winner of youth competition are awarding by cup. Participants of teams-winners are awarding by diplomas. The money prices for 4th Stage of World Cup are 80% of collected tournaments fees, but not less than 30 000 rubles. Prizes will be paid for highest classifications, the best woman and other prizes according to organizers decision. Each participant of the competitions should pay organizational tournament fee at the day of arrival: 1000 rubes for participating in the 4th Stage of World Cup, 600 rubles for participating in youth competitions. This schedule may change. The date and time of registration, opening and closing the tournament are final.